We received a request from Nick Hayes of the North West Microlite Aircraft Club asking if we could visit them at one of their evening meetings. When we found out that they meet at the Blackrod Cricket Club we agreed to pay them a visit if a donation could be made to the North West Air Ambulance. This they readily agreed to. The location was checked out on ‘Google Earth' and the cricket ground was seen to have clear approaches from the West and South West. Simon, who works in Manchester , made a detour the Monday before just to go and recce the ground for us. He reported back warning of the trees and the heights of them that surrounded the ground. Neil was to fly with Phil from Wesham with Becky, Phil's PA, on board. Phil made the mistake of telling Becky at work that morning that she would on Huey Crew duty for the visit - concentration was not good for the rest of the day! Simon drove straight to the ground on his way home from work, just to make sure that all was ok for the arrival of the Huey. 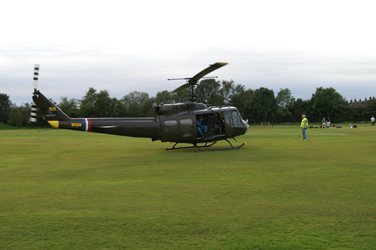 He briefed the Microlite Aircraft Club Members about the approach of the Huey and what would happen. The anticipation on the ground was mounting and a few thought the Huey was approaching when in fact it was another helicopter flying south over to the west of the ground. 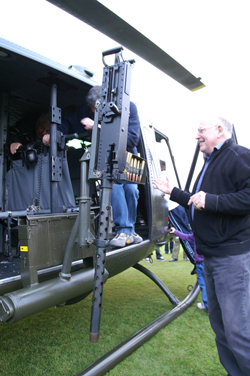 Neil gave Simon the warning call to say the Huey was about to take off. A little after seven we lifted 509 and set our course for Bolton . Simon heard us some distance out and warned those on the ground that we were approaching. We flew down just to the east of Blackrod and were able to identify the ground from the pictures taken off the web. We turned to the west and made an approach westerly to get a better view of where we were flying into. Neil, after looking at the ground and seeing where Simon was, (not on the crease we hasten to add!) decided he would approach from the south west and drop 509 just outside the Club House. We turned south again and readied for the landing. Simon guided us in on the ground and we prepared to shut the engine down. Once everything was secured the waiting group wasted no time in circling the machine. Neil gave a brief talk about the history of 509 and then invited everyone to take a closer look and to ask any questions. The questions just kept coming with everyone keen to find out more about 509, its history, its connection with the 129th and what it's like to fly? We went round and rattled the collecting tins for the NWAA and soon they were quite heavy proving difficult to get much more in them. 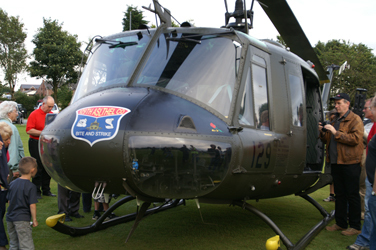 The Club Members were also out selling raffle tickets, the proceeds of which were to be added to the NWAA collection. We stayed for a little over an hour as the weather to the north was looking a little angry. Everyone moved back to the Club House so that they were a safe distance from 509 when she was started. 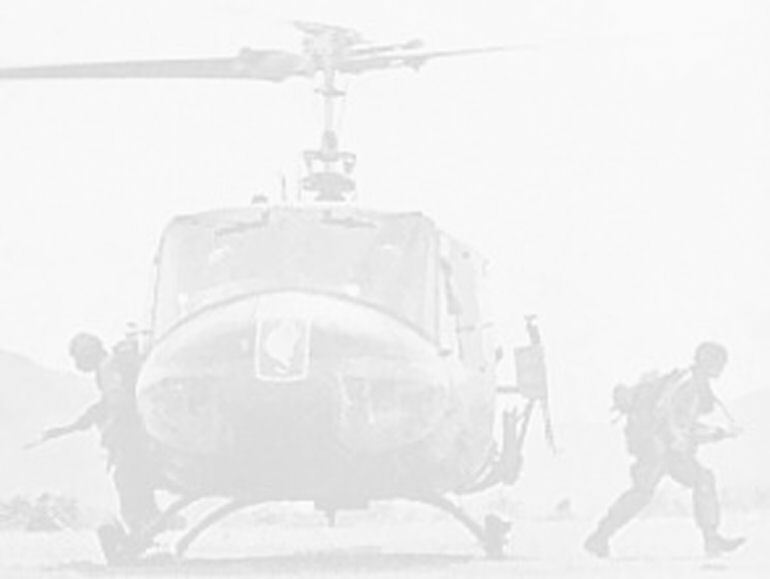 Simon remained on the ground and untied the blades and kept a watchful eye on those watching and on the helicopter as the engine started and the blades began turning. Happy all was well Phil lift off and turned north and home. The journey back wasn't quite as straight forward as it had been coming south. The cloud base began to lower but 509 and the crew made it home safely. Our thanks to the NWMAC for their warm welcome and their generosity to the collection for the North West Air Ambulance.